Kholrabi is a small bulbous vegetable that is a part of the cabbage family. You can use its bulb and its leaves for preparing meals. It is most commonly known to be used in German countries as a staple in many dishes. Often times the bulb is used in salads as broccoli or carrots would be used whereas the leaves are interchangeable with kale and spinach. Other Nutrients- dietary fiber, antioxidants, phytochemicals, and carotenoids. Digestive Health- it is a cruciferous vegetable which contains a great deal of fiber which can improve your digestive system tremendously. Fiber plays a great role in reducing bloating and maximize nutrient uptake efficiency. Weight Loss Aid: Due to it being low calorie, and full of fiber it is known as a diet vegetable. The fiber content will help with the feeling of fullness which can help stave off hunger between meals. Nerve and Muscle Function:Kholrabi has a great deal of potassium within its nutrition profile which is known to help with healthy nerve and muscle function. When the function of these is healthy we will feel more alert, energetic, and be in great shape. 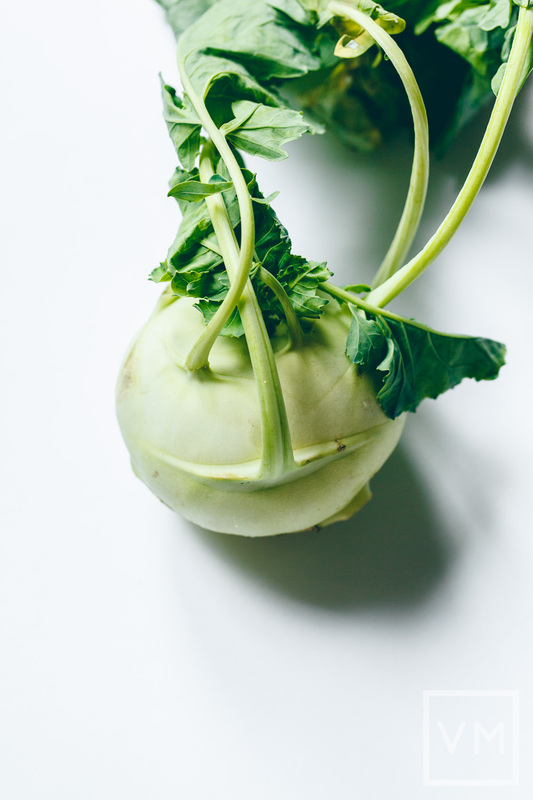 Bone Strength: With its high levels of manganese, iron, and calcium , kohlrabi is a great vegetable to help strengthen the bones and prevent osteoporosis. 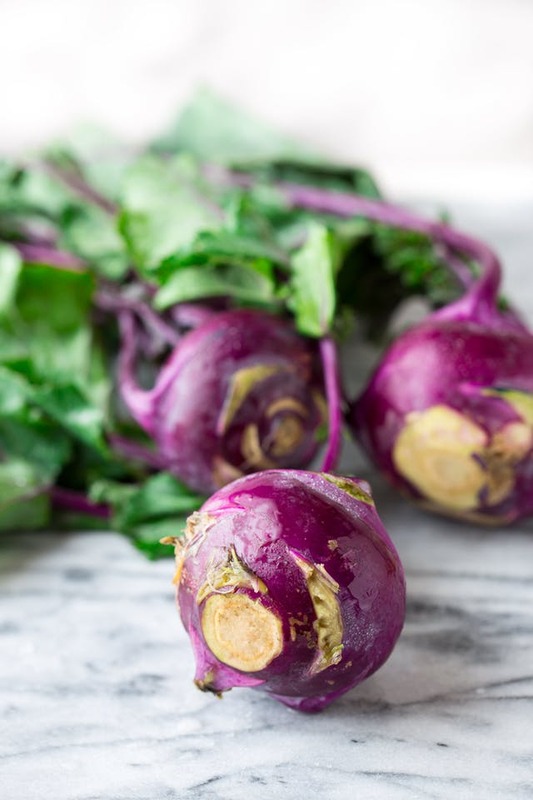 Healthy Vision: Kohlrabi has a significant amount of carotene in it which is a type of vitamin A that acts an antioxidant especially in the eye. Metabolism: Due to its rich source of vitamin Bs it is sufficient in regulation of metabolism and keeping enzymatic reactions in check. Cancer Prevention: A superfood packed with phytochemicals called glucosinolates has been shown to help prevent some types of cancers. Immune Booster: It has more vitamin C than an orange does ! 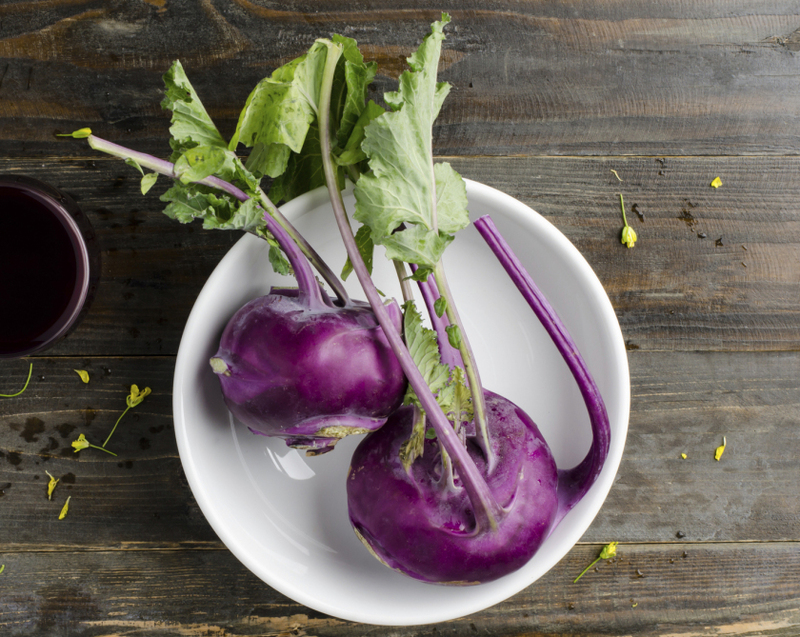 Clocking in at a 29% of DV, kohlrabi can help to keep immune system healthy and provide more collagen production for healthy skin. Pre heat oven to 400 degrees F. Rinse Kohlrabi and pat dry. Trim off hard ends and slice in half. Then slice each half into 1/2in fries. Place raw fries onto a parchment paper lined baking sheet. Drizzle olive oil and season fries. Toss to coat them and spread them evenly throughout the sheet. This entry was posted in Superfood Spotlight. Bookmark the permalink.